Feb.1-- Mr. Charlie Tanner age 70 of Vidalia, GA. Mr. Charlie William Tanner was born on September 26, 1948 in Vidalia, GA to the parentage of the late Mr. Eddie B. and Mrs. Catherine Lockhart Tanner. Charlie attended and graduated from J. D. Dickerson High School in Vidalia, GA. He attended Abraham Baldwin Agriculture College in Tifton, GA focusing on Business and Leadership. He married the love of his life Mrs. Imogene Sharpe Tanner in 1966. God blessed them with 53 years of Marriage. To this union he had 3 Beautiful Children. At the age of 6 he accepted Christ and joined First African Baptist Church in Vidalia, GA under the leadership of Rev. Hall. He was employed by Piggly Wiggly Southern as a Manage of Frozen Food retiring after 28 years of service. Later he was employed as a Supervisor by Wal-Mart Corporation in Douglas, GA. He also worked as a Manager at Precision Manufacturing Company in Vidalia, GA. Charlie was also a dedicated member of Prince Hall Masons Jurisdiction of Georgia. He served as Worship Master of Mt. Horeb Lodge #114 Vidalia, GA becoming District Deputy Grand Master of Vidalia District #24. He was a member of the X.L. Neal Consistory 358, and the Violet Chapter #18 O.E.S. He was preceded in death by a Brother Carlos Perry. He leaves a legacy of love, A Phenomenal Wife Mrs. Imogene Sharpe Tanner. A Devoted Son: Donte’ Howell of Vidalia, GA. Two Daughters: Shelia (DeJuan) Bryant of Phoenix City, AL, and Chastity (Rodney) Barnes of Vidalia, GA. A Loyal Godson Jerry (Janice) Warner Robins, GA. 4 Beautiful Grandchildren whom he cherished deeply Constance (Ernest) ‘Nikki” Tanner Brownlee of Vidalia, GA,; De-Aja Atwaters of Columbus, GA; Eric “Chandler “ Bush of Vidalia, GA; and Raelyn Barnes of Vidalia, GA. Three Sisters: Karen Tanner Belk of Mulberry, FL; Carol (Anthony) Washington of Plant City, FL; and Shirley (Joseph) Burnett of Kathleen, GA. Three Brothers: Bruce Tanner of Port Richey, FL; Eddie B. Tanner, Jr. of Plant City, FL; and Harry Perry of Tampa, FL. A Devoted Brother/Friend Jimi Gantt of Atlanta, GA, and a Loving Sister/Cousin Catherine Forrest of Vidalia, GA, and a host of other loving relatives and friends. Public Visitation will be held on Saturday, January 26, 2019 from 1 PM until 6 PM at Vincent R. Drummer Funeral Home in Vidalia, GA.
Funeral Service will be held on Sunday, January 27, 2019 at 2:00 PM from the Sanctuary of First African Baptist Church in Vidalia, GA. Dr. Carl Wardlaw, Sr. is the Pastor. Bishop Vincent R. Drummer will deliver the eulogy. 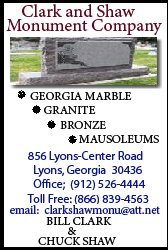 Interment will follow in Eternal Glory Gardens in Ailey, GA.
Vincent R. Drummer Funeral Home is in charge of all arrangements.